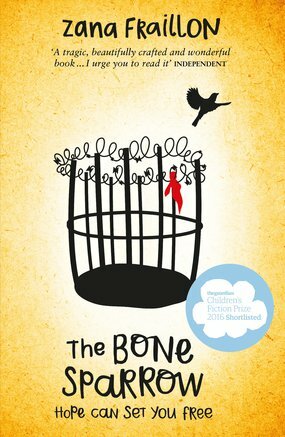 The Bone Sparrow by Zana Fraillon has been described by readers as captivating, powerful, disturbing, necessary, important, touching, enlightening and much more. It is a timely novel that deals directly with questions about migration, human rights and our broader humanity. It is a relevant text for young people and adults alike, providing a platform for engagement and dialogue around issues that are readily present in media and politics in the UK, and can present young people with challenging perspectives and uncomfortable realities. This resource has been created to support learning for 11-14 year olds. The resource explores the key themes of the book, and offers a range of activities that have been designed to link these to specific learning spaces, curriculum areas and outcomes. There are activities for the library/resource centre, assembly and tutor time as well as lesson plans for English and Citizenship/SMSC. You can also download an image sheet to accompany one of the activities. Please note: this document contains images that some people might find upsetting.